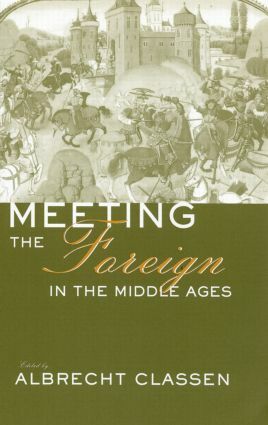 This collectoion brings together an outstanding group of historical, cultural, and literary scholars to investigate the complicated, nuanced, and often surprising union and desire and dread associated with the figure of the foreign Other in the Middle Ages--represented variously by Muslims, Jews, heretics, pagans, homosexuals, lepers, monsters, and witches. Exploring the diverse manifestations of the foreign in medieval literature, historical documents, religous treatises, and art, these essays mine the traces of unprecedented encounters in which fascination and fear meet. Albert Classen, PhD., is Professor of German at the University of Arizona.